This entry was posted in Lodge Hill, Michael Gove, Natural England, Nightingales, SSSis and tagged Defra, Lodge Hill, Michael Gove, Natural England, Nightingales. Bookmark the permalink. The planning application for 5,000 houses was withdrawn (and the public inquiry cancelled) in September 2017. HE stated shortly after that they would be submitting an application for 2,000, which was included (along with a draft masterplan) as an ‘option’ in the consultation on Medway’s Local Plan in early 2018. We’re not just talking about the indirect impacts of 500 homes though, as other land adjacent to the SSSI (E.G. the council owned golf course on the southern side) is being proposed for development, which wasn’t on the cards when the original (5,000 houses) application went in. thanks Greg. I am not surprised to hear that Medway has finally realised that they can develop on their own golf course instead of Lodge Hill. This has been an option open to them all along – it’s a mystery why it has taken them so long to come to this conclusion. As I said in the blog post, the indirect impacts of the proposed development will have to be considered when the application has been fleshed out. But those indirect impacts are no different than those affecting every other SSSI – and indeed many European sites, across the UK. That shouldn’t detract from the importance of this victory. As per my tweet earlier this week https://twitter.com/EcoLlogik/status/1073576647499149312: there has been a lot of effort from a variety of organisations & individuals to save Lodge Hill – including from Greg, above: as a key member of Kent Wildlife Trust’s planning team, who has worked on this for years. One can speculate on whether, if this did come down to Mr Gove’s thinking was influenced by the Wildlife Trust’s/ RSPB’s/ others’ national teams who work day-in, day-out at Westminster Either way, it’s Greg et. al. who will be working through the detail of the new application to counter the more insidious (but none-the-less highly-damaging) indirect impacts mentioned, as well facing up to the myriad other development proposals heading our way. And, it’s this biodiversity “death by a thousand cuts” that we really need to reverse. One mechanism might be if the new National Planning Policy Framework’s somewhat nebulous “net gain” mechanism (which is currently being consulted upon https://consult.defra.gov.uk/land-use/net-gain/) can be made into something robust & real. So, a victory – yes, but lots still to play for (as always). thanks Evan. I have been mulling over whether to write something about Net Gain, maybe in the new year. Is Net Gain just a new version of Biodiversity Offsetting? 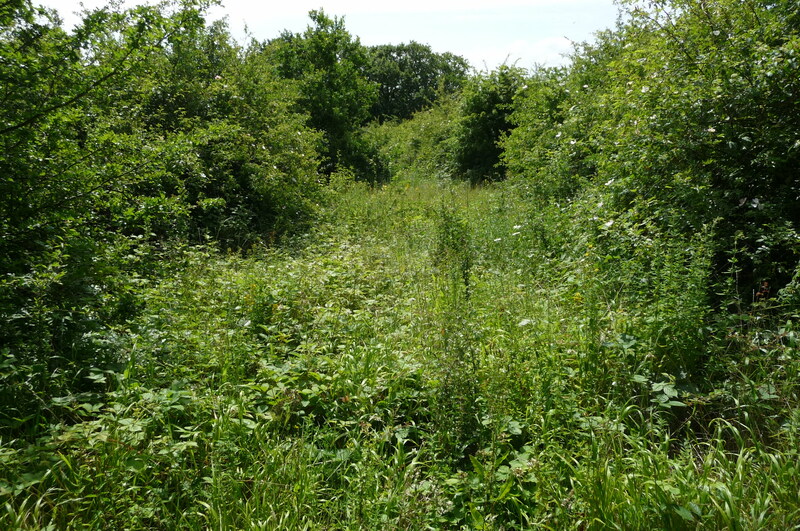 Lodge Hill was going to be subject to Biodiversity Offsetting, whereby the loss of the SSSI was going to be offset by some tree-planting in Essex. I don’t think we know, Miles. Either way my view is that it needs to be much more meaningful… As you know offsetting was basically developed for dealing with rare species, whereas (given the massive loss of biodiversity we’re now facing) we need net gain to be about restoring abundance of common wildlife (before it becomes rare). Plus, whatever comes out of the consultation it really needs to be based on fully applying the mitigation hierarchy, including avoidance (not jumping to offsetting); & – and I think this is key – it needs to be applied to infrastructure projects. And, it really needs to be delivered within a national framework. Whether or not we’ll get this is a whole different question..